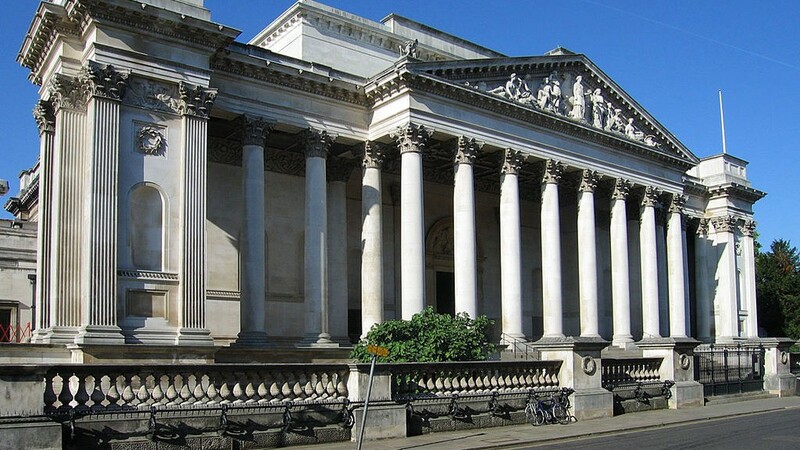 In October I was at the Fitzwilliam Museum in Cambridge, holding a discussion with its director, Tim Knox, about the history of Art Fund’s support for the Fitzwilliam and its hopes for the future. The first-ever Art Fund grant to the Fitzwilliam was made in 1912, for 18 pieces of Chinese pottery and porcelain, and the total cost of the pieces was £193. It’s worth reminding ourselves of all these things and of how important museums are to that process of enlightenment and delight that takes us all on a journey to new discovery and understanding. It’s more important than ever for us to assert this truth. We need to continue to assert the value and importance of museums to us and our communities. The government has been holding various public consultations that will have an impact on the future of museums, and we (Art Fund) have been submitting our views to them informed by our conversations with more than 800 museums and galleries around the country and as a powerful voice for our members and other museum-goers. And now, with the news that Nicholas Serota will be taking over as chair of Arts Council England, the future is exciting. If he can bring the same spirit of knowledge, passion, expertise, vision and courage to his new role as he has to Tate, there is much to be hopeful about. Alongside this the Arts Council England budgets for 2018–22, unveiled in October by the culture minister, Matt Hancock, promise both to protect London and see more allocation to the regions with a £622m a year investment across its National Portfolio Organisations, Grants for the Arts and Culture scheme and strategic funds. They’re making this public money work as hard as possible, while also tackling diversity in the arts and addressing regional funding imbalances and investigating how best to support museums to become more entrepreneurial. Though the economic, social and educational return of investing in culture is proven — as outlined in the government’s white paper on the arts — balancing budgets and mitigating the potential impact of Brexit for the arts and culture will present challenges for the Arts Council. But to have someone in the lead who completely understands the importance of museums is a pretty good start. And that importance has, I believe, become even more significant following the referendum. These days we are a country in search of what our identity is, striving to make sense of that tension between nation and internationalism that lay at the heart of the discourse about Europe. How fundamental to any exploration of this case of identity is the role that museums play. They show us our history, our narrative, our sense over the centuries of ourselves, and the things that we have valued. They bring it all alive for us. Museums are vital for our future; and that — whether it is direct funding from Government, or the impossibly stretched resources of local government, or the future role of the Arts Councils of England and the other nations, and the growing importance of philanthropists — museums are part of the essence of our communities and our lives. This article originally appeared in Art Quarterly, winter 2016.